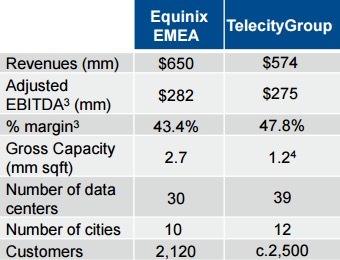 The biggest story in the IT Hosting market this summer (and probably the story of the year) is the acquisition of TelecityGroup by Equinix. It has been announced that Equinix will buy the European data center service provider for $3.6 billion, a deal that should make Equinix undisputed leader in the data center market worldwide. The “Daddy” Of The Domain Name And Hosting Industry Gets Bigger? GoDaddy, probably the world’s largest domain registrar has been sold last week for $2.25 billion dollars. This is a hell of a deal. I can not believe that an Internet company would cost that much. Internet is an intangible business and it is really hard to believe that anyone dot-com based company could cost billions.